A piste may be a route through a variety of different terrains; it might consist of a meadow or a mountain road or part of a glacier. Therefore piste mapping is important and it’s always a good idea to make your self acquainted with a local piste map before you visit a ski resort as it will detail all the variants you need to be aware of to make you stay safe, be informed and to truly make the most of your ski holiday. Méribel sits at the heart of the world-famous Trois Vallees ski domain and whilst the principle town is of the same name, “Méribel” is often used in reference to the whole valley. It is, however, made up of several distinct and charming villages including Mottaret, Les Allues and Méribel Village, each with its own distinct flavour and attributes. 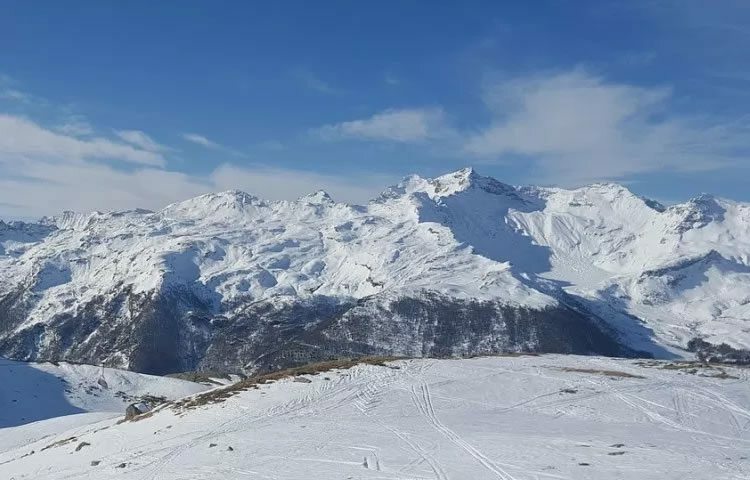 Les Trois Vallees ski resort claims to be the world’s largest ski area and, with over 600km of pistes on your doorstep made up of nearly 50 beginner runs, 101 reds, 117 blues and 27 black runs (not counting the acres of steep off-piste and extreme couloirs) you can see why. With 200 ski lifts to navigate as well, you’re definitely going to need a Meribel piste map 2018 so that you can plan your skiing and find your way around these mountains! Before studying your piste map of Meribel, it is important to be aware of how pistes are classified in terms of their difficulty. This will help ensure you don’t get into a tricky situation when you’re up in these beautiful mountains! It’s important to note that piste classifications can change between different resorts, and the colour coding of piste maps can sometimes vary from resort to resort. There can also be local and national variations in signs, rules and regulations, so having a local piste map of your ski region is very important so that you don’t come unstuck when up on the mountain. Studying your local piste map of Meribel can be a real lifesaver. Your 2018 piste map of Meribel will show all the lifts and gondolas in the area and how they connect to the runs. Using this information, you can select the easiest and most direct access to the slopes which will enable you to spend more time skiing and less time navigating the network of lifts. Take care to study the map key so that you can identify the difficulty of a run, what type of lift it is and other crucial finer points (including where the restaurants are!). Conditions and the status of the piste can vary from day-to-day and week-to-week, so ensuring that you are as knowledgeable and well-informed as possible in the run-up to your trip ensures that you can maximise your time enjoying the white stuff. Believe it or not, your 2018 Meribel piste map can also prove useful as a weather chart, allowing you to gauge roughly how long the ski season will be and what the snow will be like when you arrive. Detailed ski maps record the altitude of every peak and lift station in the area so, although there are numerous factors involved in snowfall (such as slope direction, the presence of other mountain ranges and local weather systems), generally speaking, high-altitude pistes will get the most snow and prove most fruitful for your skiing holiday in Meribel. Our Meribel piste map PDF details each route for reaching Mont de la Challe, Tougnette, Roc de Fer, 3 Marches, Saulire, Col de la Loze, Aiguille du Fruit and all the slopes in between. It’s important to become acquainted with the piste maps of Meribel and also maps of the Three Valleys region itself so that once you have checked snow depths, fresh snowfall, resort weather, off-piste conditions, avalanche risk and of course the lift operations, you can start planning your route for the day. 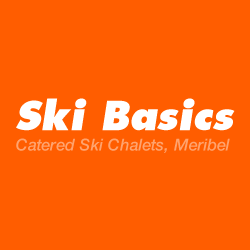 When you arrive in resort, Ski Basics provide guests with detailed Meribel piste maps so that you are well-equipped, well-informed and ready to start your dream ski holiday in Les Trois Vallees. You can get a headstart before you arrive by using an easily-downloadable 2018 Meribel piste map to study the layout of the Meribel pistes whilst you are assessing the quality of the skiing you can look forward to when you arrive in resort at Meribel. As well as helping you to navigate the 600km of pistes, our 2018 piste map of Meribel will show all the lifts and gondolas in the area and how they connect to the numerous runs.